I love seeing art brought outdoors, free for all to behold, as a part of the environment. During my vacation I came across a variety of outdoor sculptures. Some of them were whimsical, while others expressed deeper meaning. 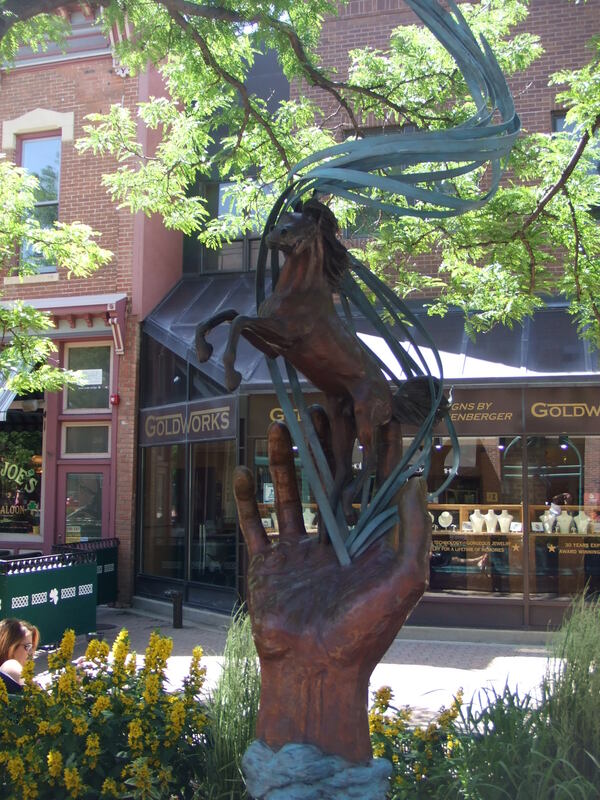 I really appreciated the way in which each sculpture enhanced outdoor space, adding artistic interest to commercial surroundings. 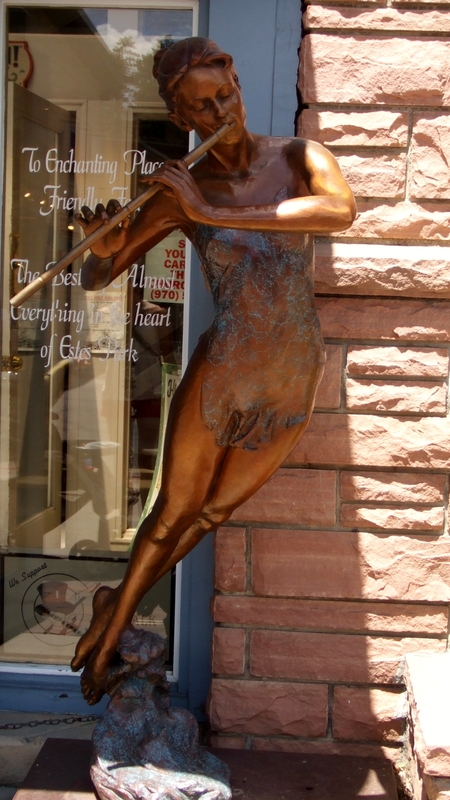 Here is a sampling of the sculptures I saw, in my best efforts to capture them. 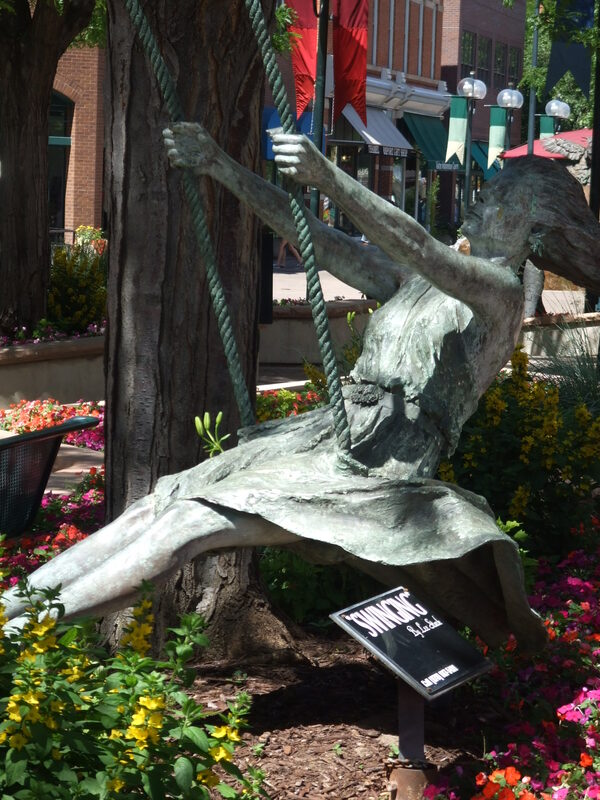 Swinging, by artist Lee Stark, brings a sense of motion to a quite stationary piece. Doesn’t that swing just belong in that tree? Yet the ropes she holds are not connected to the tree or anything! Fort Collins, Colorado. 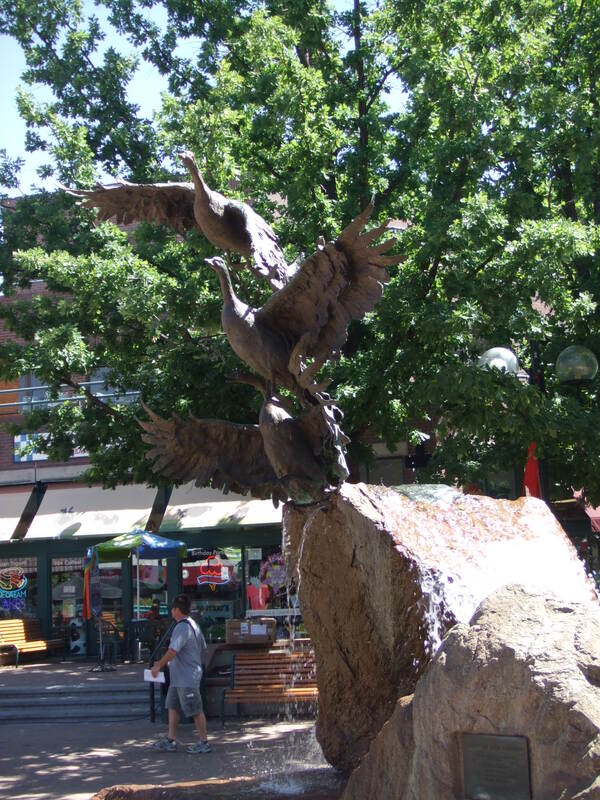 Spirit of Fort Collins, by Sandy Scott, is a stunning fountain. The geese are taking off from the boulder beneath. 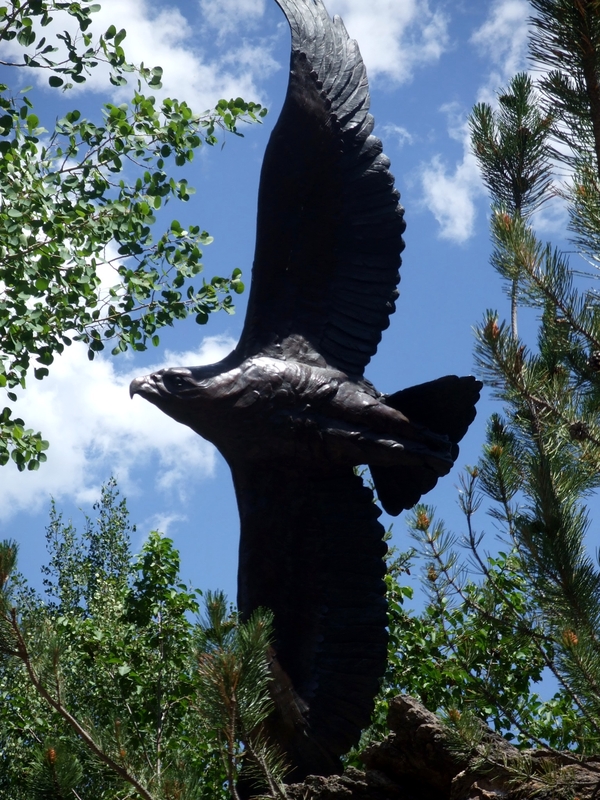 An eagle (I think) in Estes Park, Colorado. It is elegantly placed, surrounded by trees. 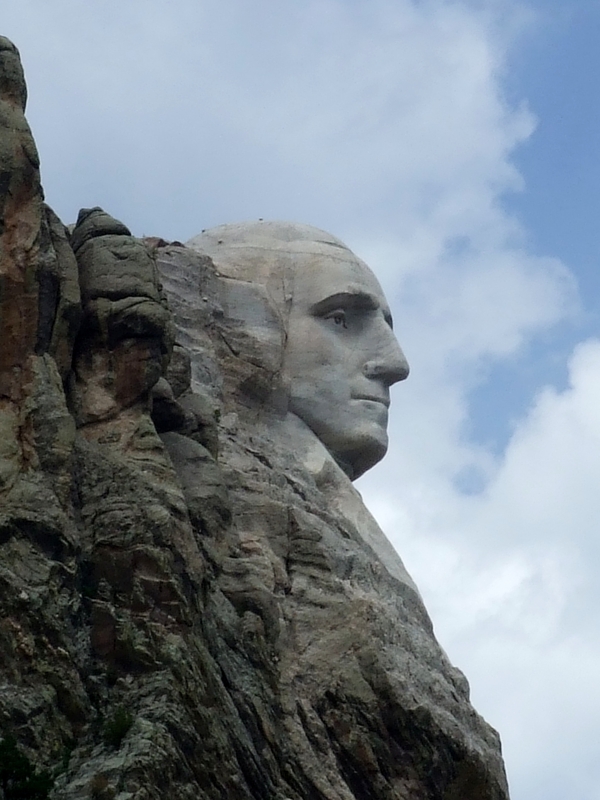 A close-up on George. 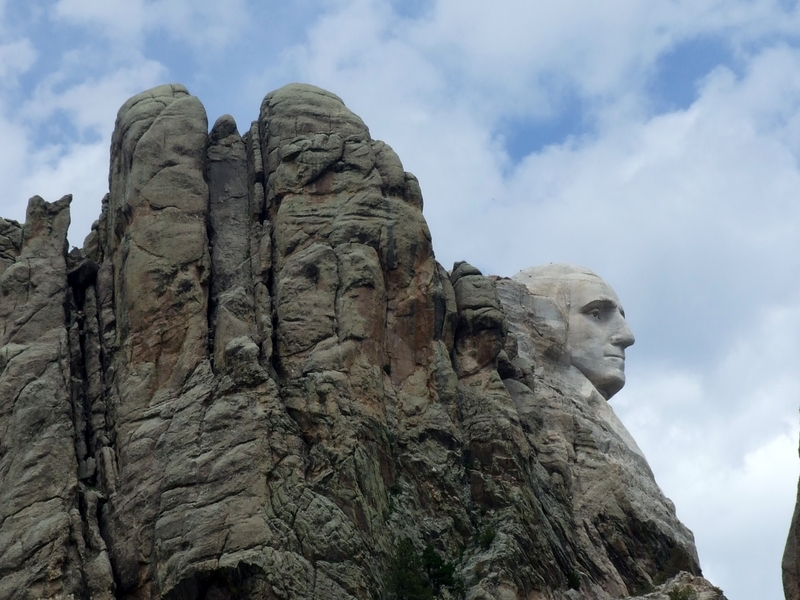 Mount Rushmore was inspired by one man, designed by another, and executed by the hands of at least 400 others. Impressive. 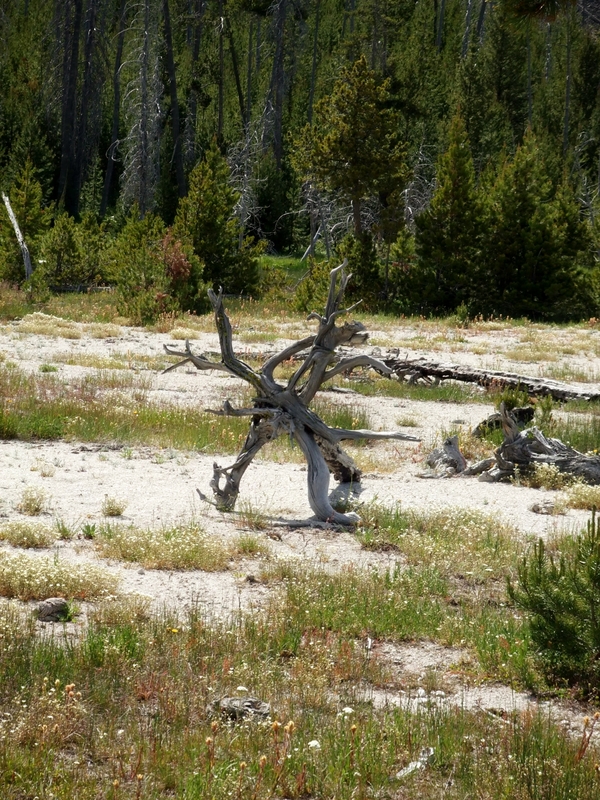 Not a man-made sculpture, but one made by nature. I’m including this one because I viewed it as sculpture. Don’t you think that Mother Nature is quite the artist?